Appeals Court Declares Trump Travel Ban Unconstitutional - Integration Through Media ....! 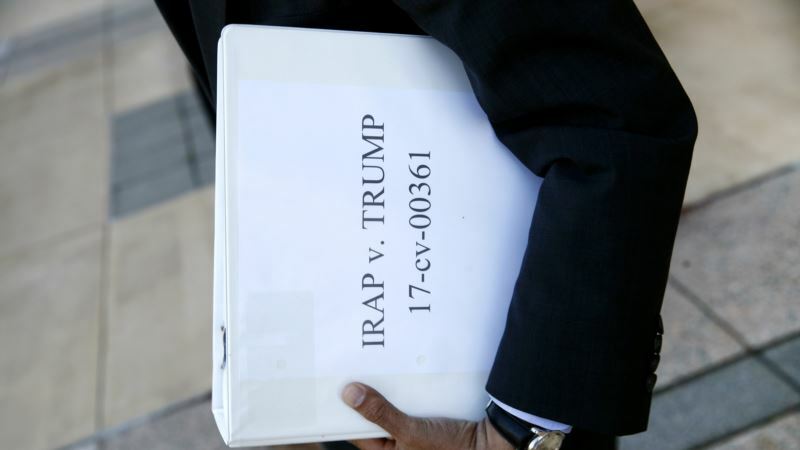 (VOA): A federal appeals court has ruled that the latest version of President Donald Trump's order restricting travel is unconstitutional because it unlawfully discriminates against Muslims. In a 9-4 decision, the Fourth Circuit Court of Appeals in Richmond, Virginia said that after examining official statements from Trump and other White House officials, "we conclude that the Proclamation is unconstitutionally tainted with animus toward Islam." The court upheld a lower court injunction that had been issued against the so-called travel ban but stayed the decision pending the Supreme Court's upcoming consideration of the travel order. The court joins the Ninth Circuit Court of Appeals in San Francisco as the second federal appeals court to rule against the ban. A three-judge panel for the Ninth Circuit ruled in late December that the president failed to make a "legally sufficient" finding that entry of those barred would be "detrimental to the interests of the United States." The president's travel order his thirdhas been in effect since early December when the Supreme Court said it could go into effect while it made its way through the courts. The order in varying degrees bars people from coming to the U.S. from eight countries — six of which are predominantly Muslim. The Supreme Court is expected to hear arguments regarding the order in April. Trump issued the first version of the travel ban at the end of his first week of office, arguing that it addressed pressing security concerns.